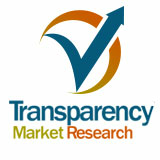 A new Transparency Market Research report states that the global pre-owned medical devices market stood at US$2.4 mn in 2012 and is predicted to reach US$4.9 mn by 2019. It is predicted to expand at a CAGR of 10.60% from 2013 to 2019. The title of the report is “Pre-Owned Medical Devices Market - Global Industry Analysis, Size, Share, Growth, Trends and Forecast, 2013 - 2019.” The current condition of the market and the future growth prospects of the market have been elaborated upon in detail in this report. As per this study, the pre-owned medical devices market is fuelled by the installed medical devices reaching the end of their lifecycle and the rising demand for screening. In addition, the supportive post-sales services have also propelled the market’s growth. On the other hand, factors such as regulatory restraints, the negative perception of the quality of refurbished pre-owned medical devices, and the operations of original equipment manufacturers (OEMs) within the refurbishment market may restrain the growth of the market in forthcoming years. The report segments the market on the basis of device type and geography. On the basis of device type, the report segments the market into CT machines, x-ray and mammography machines, ultrasound machines, MRI machines, c-arm devices, and nuclear imaging and medical devices. Amongst these, the segment of pre-owned x-ray and mammography machines is predicted to expand at a CAGR of more than 6.0% during the forecast horizon. However, newly launched x-ray and mammography machines are more economical in comparison with other medical devices including SPECT, MRI, CT, and PET machines. Hence, consumers prefer purchasing new x-ray and mammography machines as compared to refurbished pre-owned machines. Hence, on the basis of value, though the segment of refurbished pre-owned X-ray and mammography machines held the largest share, its growth rate is poised to be low in comparison with the other segments of refurbished pre-owned medical devices. The report segments the pre-owned medical devices market on the basis of geography into Europe, North America, Asia Pacific, and RoW. Amongst these, the regions of North America and Asia Pacific lead the market with collectively the highest share and are predicted to exhibit a huge growth rate in the forecast horizon. On the other hand, within Europe and RoW, a number of countries have discouraged or banned the utilization of refurbished pre-owned medical devices and thus these regions hold a small share in the market. These two regions are also poised to exhibit a low CAGR all through the forecast horizon. As stated in the report, the major players dominant in the market for pre-owned medical devices are Philips Healthcare, GE Healthcare, Siemens Healthcare, Agito Medical, Soma Technology, and Toshiba Medical Systems, among others.